UP NEXT: MARYLAND MAY 19-20 2019. 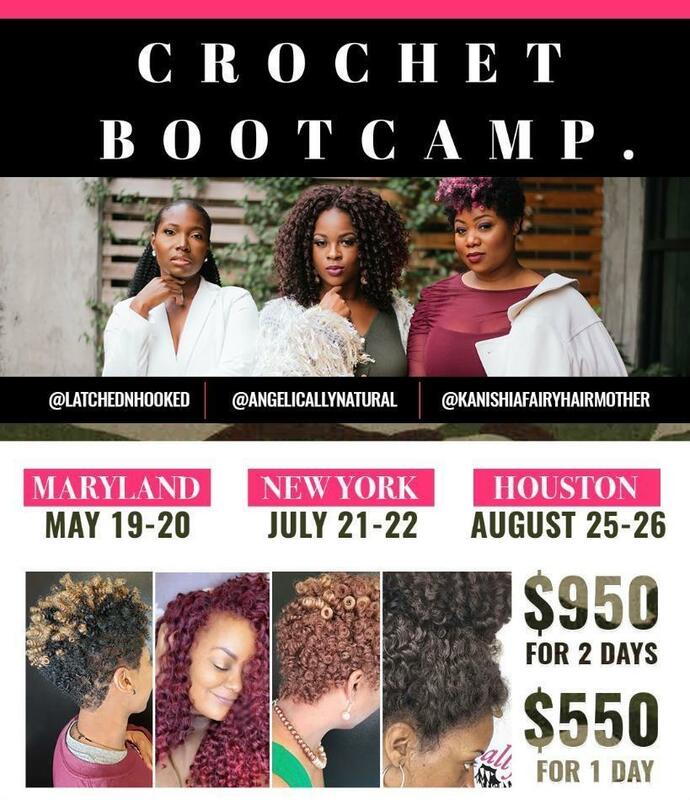 Crochet Bootcamp is a curated 2-day, hands-on, workshop for Hair professionals and Non licensed Braiders who are seeking to increase their revenue, learn specialized crochet installations and styling techniques and discover the versatility of premium itch-free synthetic hair extensions. Purchase Tickets In Your City NOW!! Early Bird Special Ending Soon!!! 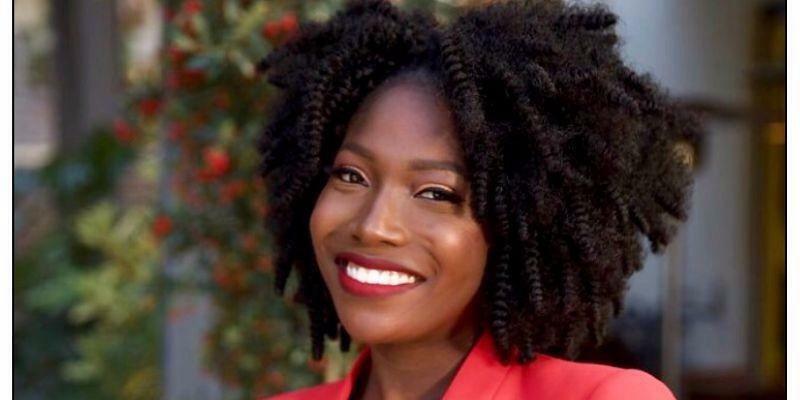 Jenise McBride is the Creator of The “Crochet Seamless Hairline” and Owner of @AngelicallyNatural tm., Protective Style Shop in Atlanta, Ga.
Jenise has used her Specialized techniques to serve the everyday woman that’s just looking to give her hair a break but still have the versatility to style how they please and look and feel fabulous. 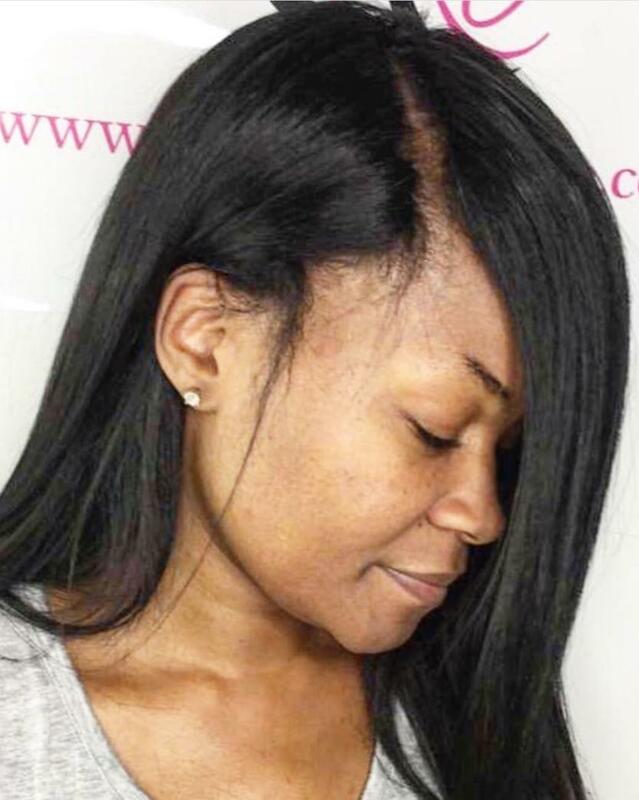 Learn how to create a seamless hairline that will have your clients proudly wear they’re hair and others running to your chair. 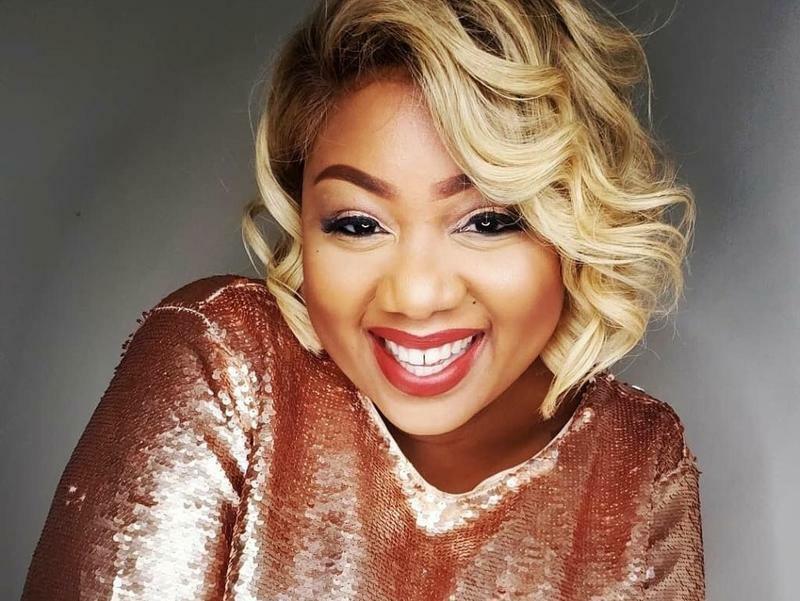 Kanishia Gordon, also know as @KanishiaFairyHairMother, has been an industry professional for over a decade expressing passion for clients suffering from temporary or permanent hair-loss as well as a passion for clients seeking to find expression through embracing a new self via natural hair journey, color services and custom wigs. 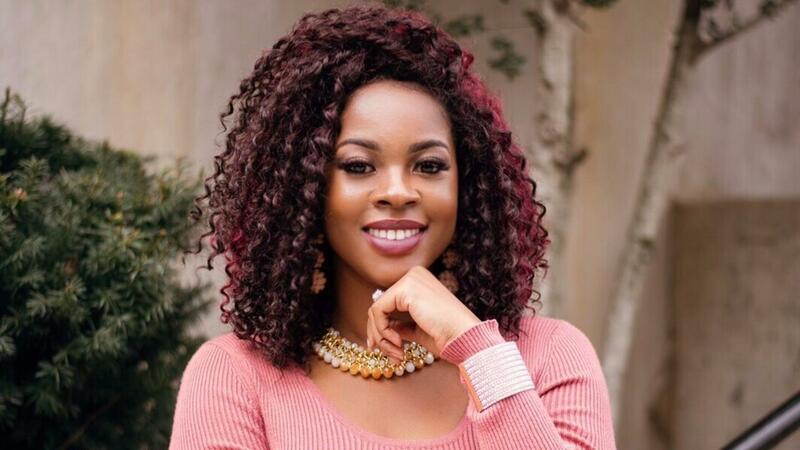 Tiffini Gatlin became a pioneer in the beauty industry after creating the first pre-curled and looped crochet hair, protecting women from hot water burns while protective hair styling. She also created Premium Itch Free Crochet Hair. This ticket includes 2 Days of Classes from Jenise and Kanishia Along with Premium Itch Free Latch and Hooked Hair. Do I need to be a licensed Professional? No you Do not need to be a licensed professional to attend this event. Please check your state laws about servicing braiding techniques to your consumers. For Example the State of Georgia does not require licensing others may require braiding licensing or cosmo. Is this a Certified Program? This is a continuing Education Program and you will receive a certification of Completion. How many lessons are in the class? There will be 2 Days of classes. 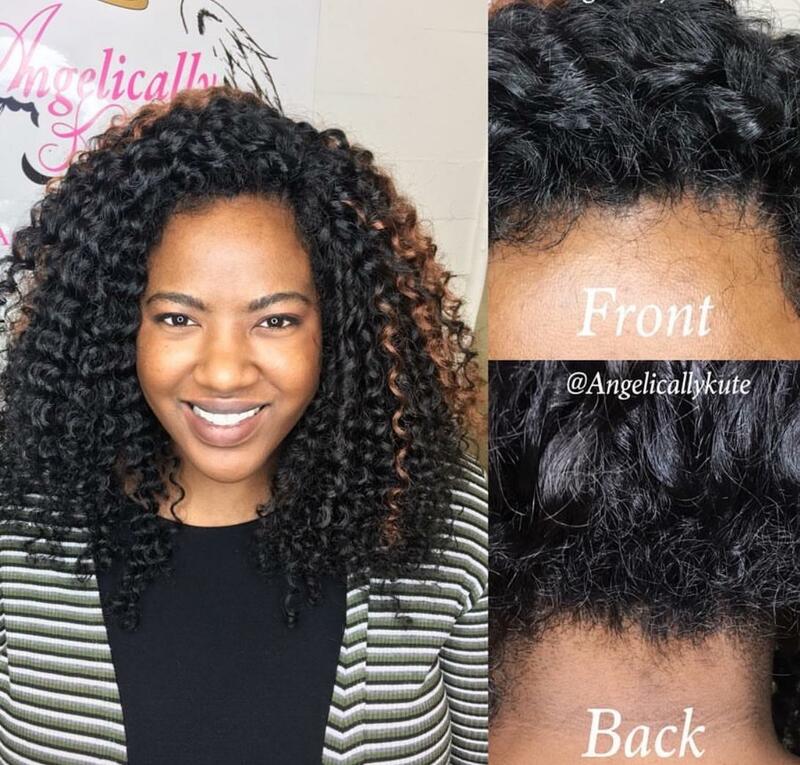 1 Day will be with Jenise Mcbride of @AngelicallyNatural which she will teach her seamless hairline crochet techniques and Specialized knotless crochet methods. 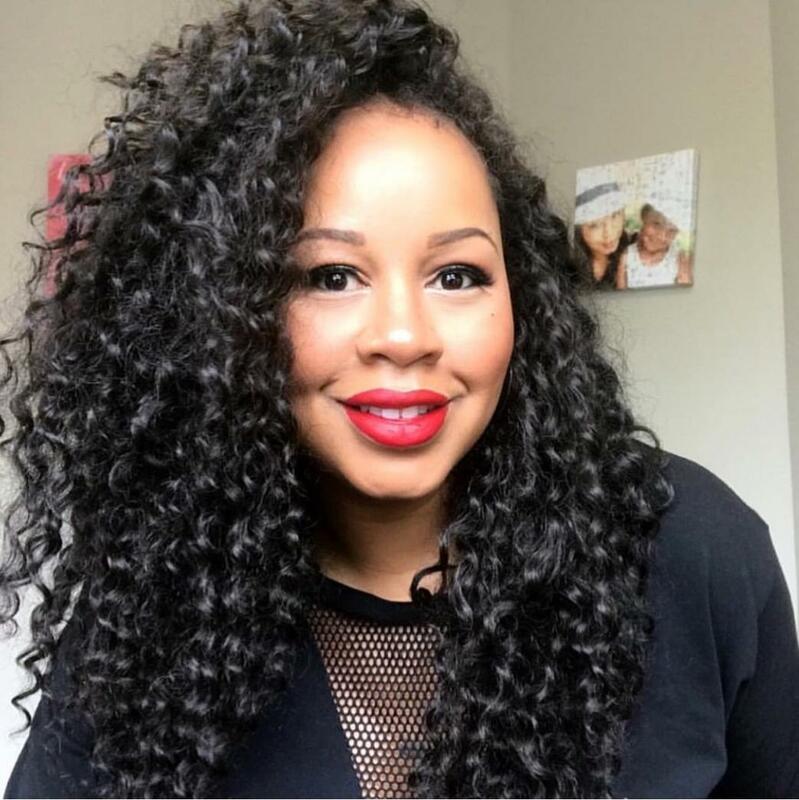 Tiffini Gatlin of @Latchednhooked will be providing students with her Premium Crochet hair and teaching the importance of quality crochet hair with the opportunity of becoming a wholesaler. Day 2 Kanishia Gordon @Kanishiafairyhairmother will be teaching her specialized tapered cuts and crochet wig making. marketing strategies and much more. 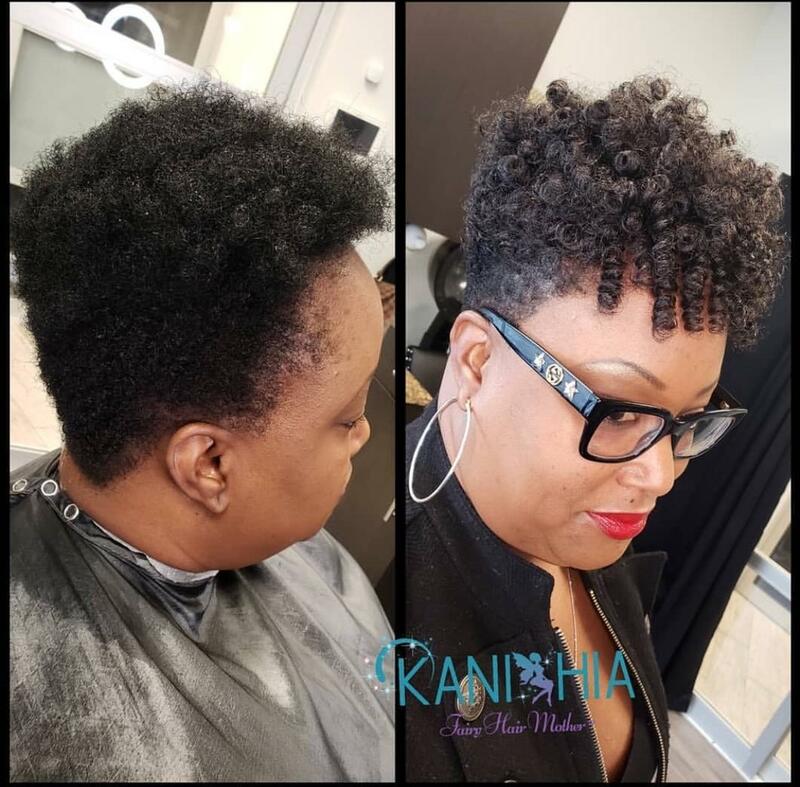 Tiffin Gatlin will be providing her latchednhooked premium crochet hair and teaching the importance of quality crochet hair and more. What's Provided in the Class? You will be equipped with Goodie bags filled with specialized Latch hook, Premium hair, and note book and pen along with other pertinent print outs and more. What is not included is the mannequin Head and Stand, you can find those items needed in check out. 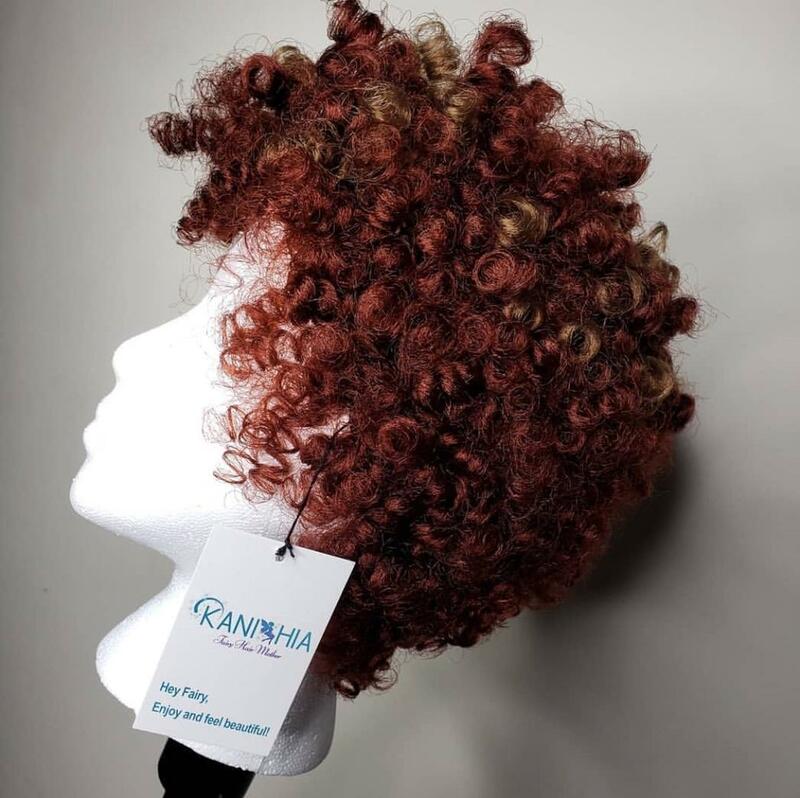 Crochet Wig making, Seamless Hairline Technique with No Leave Out, Non-Slip Knot Technique, Cut, Shape, Style, Blending, Premium Crochet Hair and much more! Stay updated on which City we'll hit next!! 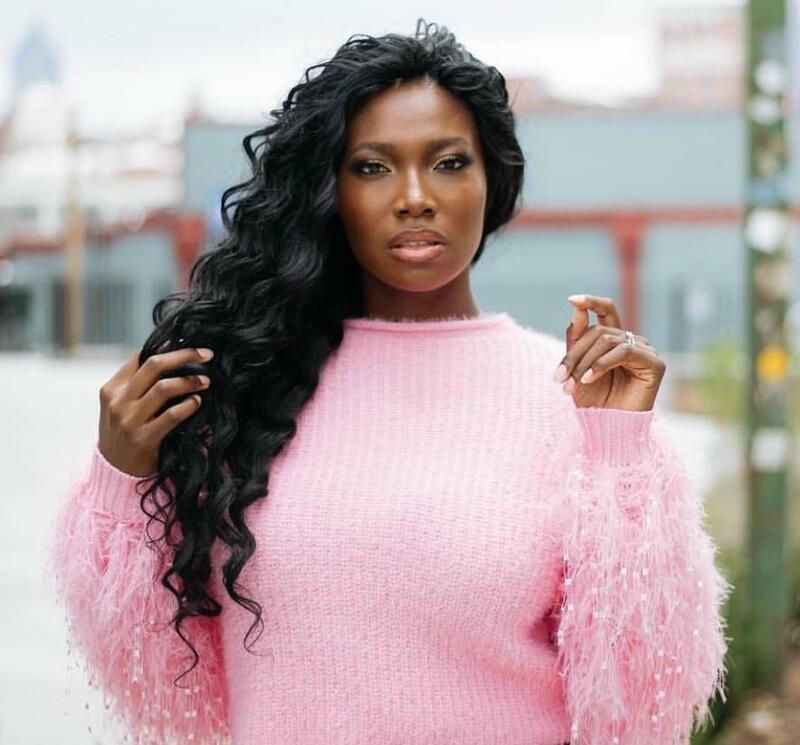 We're excited to bring to you sought after specialized crochet techniques such as Our Crochet seamless hairline techniques, tapered cuts, crochet wigs, and premium itch free Crochet extensions and much more! 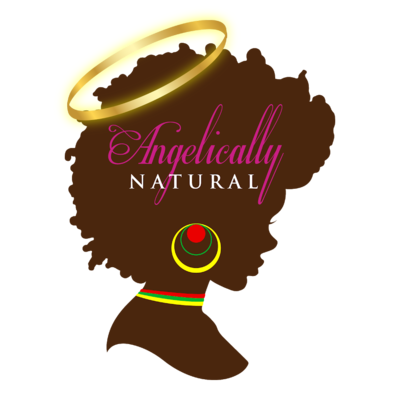 Be prepared for a fun filled learning experience to advance your career in the Billion Dollar Natural Hair Industry. We won't spam you--PROMISE! Provide us with the information below and we'll be sure to contact you when we have updates on our next stop. Hope to see you soon!